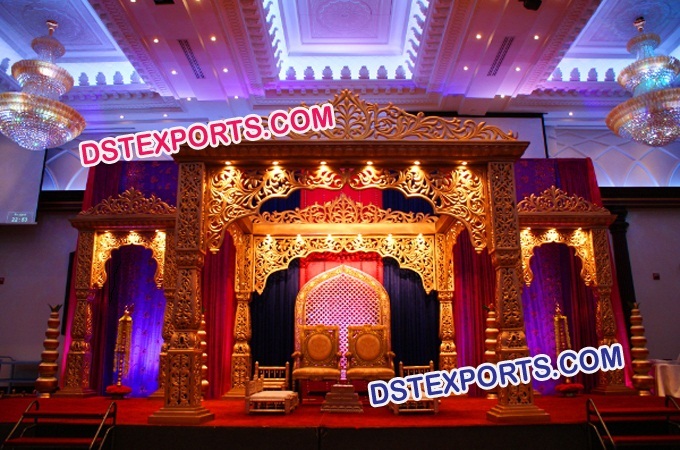 We are original manufacturer and exporters of any type of wedding Crystal mandaps indian Wedding mandaps Fiber crystal mandaps Traditional Wedding Crystal Mandap,New Design ,Wooden carved mandap ,Wedding mandap stage fiber Pillars .This mandap is made by unbreakable fiber glass and high quality deco painted and fitted with crystal in all parts of mandap. We design these mandaps in compliance with the modern trend by making use of high grade quality materials under the supervision of our skilled and experienced workforce.These mandaps are light weighted and very easy to assemble and instal. We can also manufacture as per color and shape like round ,square, oval and rectangle. All Pillars and top arcs are made of Fiber glass and fitted with original crystals.All Pillars are fitted with inside lights.These are all Pillars mandaps and very easy to assemble.Full mandaps is folding and very easy to assemble.